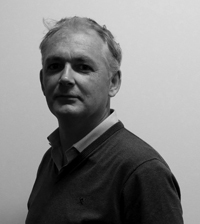 Lee joined the GVC Group in December 2004 and became Chairman in 2008. He is the Managing Partner of Twin Lakes Capital, a private equity firm focused on branded consumer products, media and business services. From 2008 to 2015, he was also the Chief Executive Officer of Aurora Brands: the owner of both MacKenzie-Childs and Jay Strongwater, the iconic American luxury home furnishings and personal accessories companies. Lee was appointed the Chief Executive Officer of Aurora Brands when Twin Lakes led the acquisition of the business. He is also a member of the board of directors of LRN Corporation and TLH Beauty LLC. Prior to co-founding Twin Lakes, Lee was a partner in Softbank Capital Partners. He has a B.A. and J.D. from Columbia University. plc, which he joined in 2000. He is a member of the Institute of Chartered Accountants of Scotland and previously worked for Grant Thornton LLP. 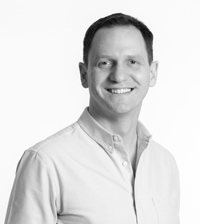 In March 2019 Rob became Chief Financial Officer of GVC, having been with the Group for six years, the majority of which, spent as Chief Financial Officer of the Ladbrokes Coral UK Retail business. 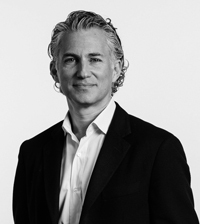 Prior to GVC, Rob was Senior VP at Cerberus Capital, overseeing the PE firm’s portfolio companies in Europe. Before Cerberus, Rob worked in Restructuring advisory at Rothschild and before that KPMG, where he qualified as a Chartered Accountant. He has a Maths and Management degree from Nottingham University. Jane joined the GVC Board in June 2017. She has more than 30 years of experience in the gaming, leisure and entertainment sectors, primarily as an equity research analyst. She retired from equity research in spring 2017 having been a gaming and entertainment analyst at Edison Investment Research since its formation in 2003. Prior to that she was an independent equity research analyst from 1999 to 2003, and before that a leisure sector analyst at Investec Henderson Crosthwaite from 1998 to 1999. 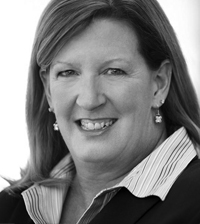 Prior to this Jane served as the Director of Investor Relations at Carlton Communications plc from 1997 to 1998, having joined from The Rank Group plc where she was the Director of Investor Relations between 1993 and 1997. 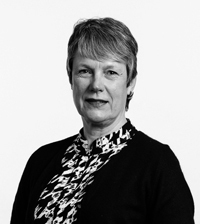 From 1981 to 1993, Jane was an equity research analyst at de Zoete & Bevan and then Barclays de Zoete Wedd, where she was a director of BZW Research Ltd. Jane has a first class BA honours degree in Philosophy, Politics and Economics from Brasenose College, Oxford. 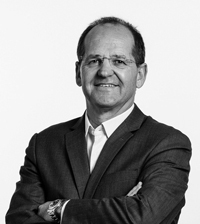 Pierre Bouchut joined the GVC Board on 13 September 2018. 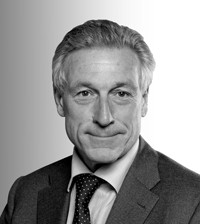 Pierre has over 40 years of experience in senior management roles across finance, European retail and European property. He is a non-executive director and chairman of the audit committee at Hammerson plc and Firmenich SA and a director and chairman of the audit, accounts and risks committee of Albioma SA. He is also a non-executive director of GeoPost SA. Previously Pierre was the chief operating officer for Europe and Indonesia at Koninklijke Ahold Delhaize N.V. (2016-2018), chief financial officer at Delhaize Group SA (2012-2016), Carrefour SA (2009-2012), Schneider Electric SA (2005-2009) and Casino (1995-2003), where he also served as the chief executive officer from 2003 to 2005. He has also been a non-executive director of La Rinascente SPA and a non-executive member of the advisory boards of Qualium Investissement and Lombard Odier Asset Management (Switzerland) SA. Peter Isola joined the GVC Board in 2016 following the move to the Main Market of the London Stock Exchange as an expert in gaming law and regulation with experience advising numerous e-commerce clients. Peter Isola is the Senior Partner of ISOLAS, Gibraltar’s longest established law firm. He is a Gibraltarian, domiciled in Gibraltar, and in 1982 was called to the Bar of England and Wales and also Gibraltar. Peter has worked in the gaming and financial services sector all of his professional life and is widely recognised and respected as a leading expert in gaming and regulation. Peter is a former President of the Gibraltar Chamber of Commerce and advises the Government of Gibraltar on a number of committees in both financial services and gaming. He is also a director of a number of Gibraltar regulated firms in financial services, gaming and e-commerce including the Gibraltar International Bank, Callaghan Insurance Brokers and Broadband Gibraltar Limited. He was appointed a Commissioner to the Gibraltar Finacial Services Commission in March 2017. 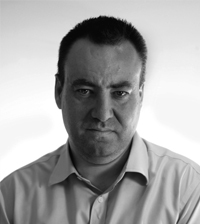 Stephen Morana joined the GVC Board on 2 February 2016 and is widely recognised for his e-commerce expertise, particularly as a specialist in the online gaming sector having spent ten years as part of the management team at Betfair plc. Stephen joined Betfair in 2002, becoming Chief Financial Officer in 2006 and also served as Interim Chief Executive Officer in 2012. After Betfair, Stephen spent over three years at Zoopla Property Group Plc as Chief Financial Officer, where he helped them join the FTSE 250 in June 2014. Stephen joined the Board of GVC following the successful acquisition of bwin.party digital entertainment plc and the enlarged group’s move to the Main Market of the London Stock Exchange. Stephen was until recently a Nonexecutive Director and Audit Committee Chairman of boohoo.com plc, the high growth fast fashion business. Stephen is a member of the Institute of Chartered Accountants in England and Wales and an alumnus of the executive management programme at INSEAD. Virginia joined GVC in June 2018. She has 35 years of experience working in the US gaming industry and is the current Vice Chairperson of Global Gaming Women, a non-profit organisation with a mission to support, inspire and influence the development of women in the gaming industry through education and mentoring. Virginia was the President and CEO of Isle of Capri Casinos, Inc. in the United States from 2011 until her retirement in 2016, and the president and COO of Isle of Capri from 2007 to 2011. Prior to this she was the Chief Information Officer at Trump Entertainment Resorts from 2005 to 2007 and Senior Vice President of operations, sales and marketing at Argosy Gaming Company from 1997 until that business was acquired in 2005. From 1984 to 1996 Virginia was promoted through various roles in Tropicana Casino and Resort before departing as Vice President of business development in 1996.